Beadboard is a classic wall paneling commonly associated with New England and Cape Cod-style houses and country decor. While its standard use is as wainscoting (e.g., below a chair rail), its availability in tongue-and-groove sections, or as a sheet good material, makes it perfect for a variety of DIY-friendly projects. Here are five favorites! 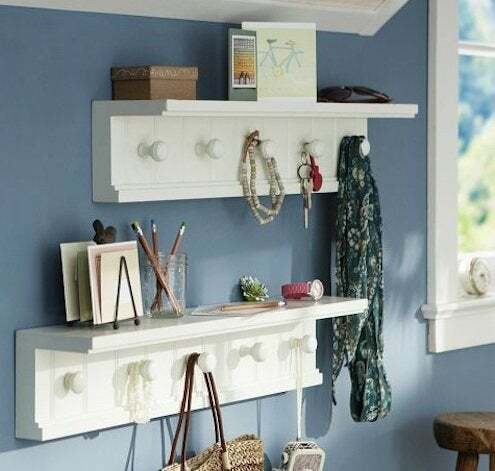 Studio C came up with a DIY hack to recreate this beadboard peg shelf from Pottery Barn Teen using less than $20 in – materials. Discover how they did it here. 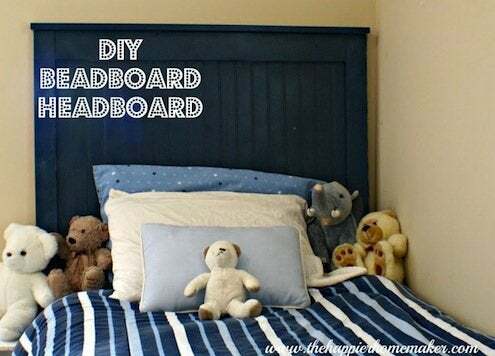 A headboard is a fantastic, inexpensive way to really pump up the finished look of a bedroom. The Happier Homemaker shows you how to whip up your own from scratch. Whitewashed beadboard can do wonders to brighten up a drab kitchen. 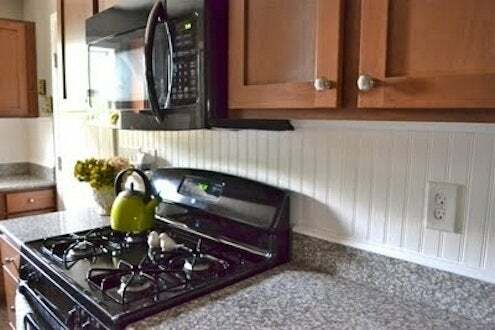 See how Liz Marie of Everything Lovely transformed her kitchen with the material. 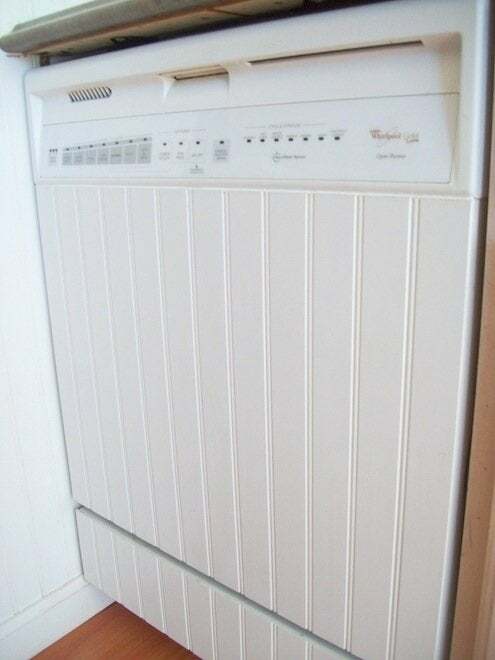 Carrie from Saving 4 Six gave her worn, scratched dishwasher door a facelift by simply adding beadboard to the appliance’s door with construction adhesive. A standard-issue bathtub gets an elegant upgrade with this custom beadboard tub surround. 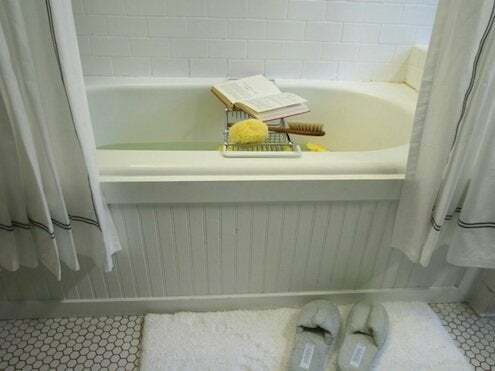 My buddy Bryan Patrick Flynn shows you how to build it in your own bathroom on HGTV.com.